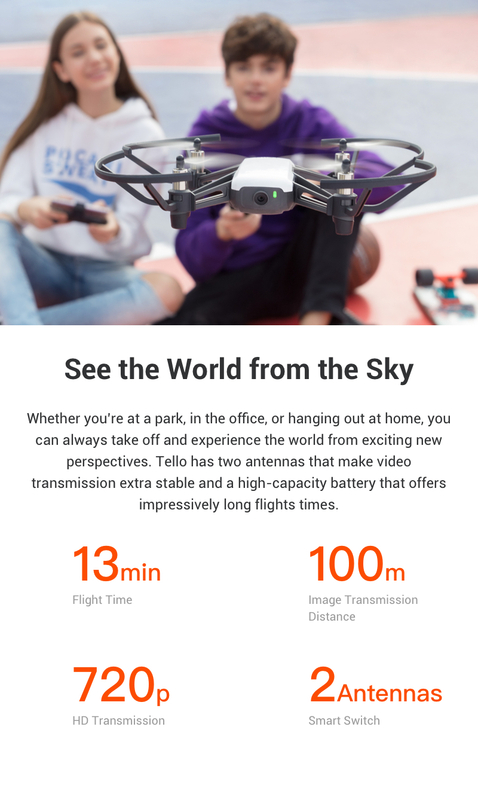 - Mini drone for kids and adults that’s a blast to fly and helps users learn about drones with coding education. 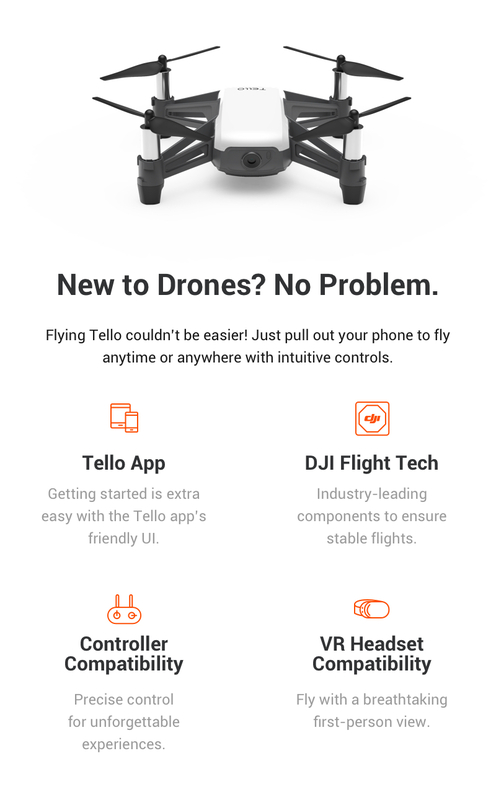 - VR headset compatibility, fly with a breathtaking first-person view. 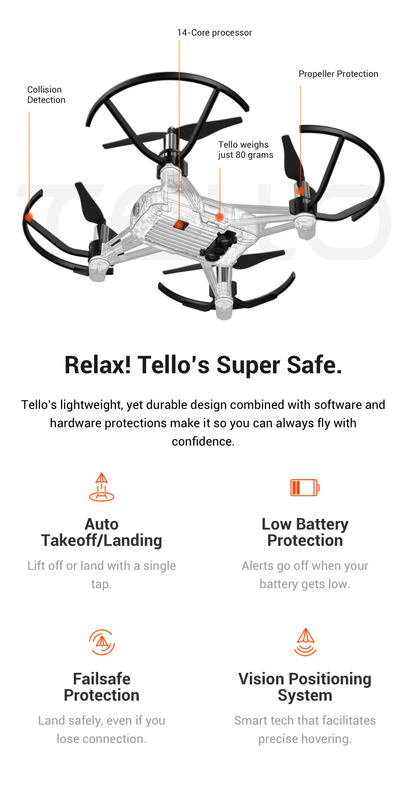 - Tello has two antennas that make video transmission extra stable and a high-capacity battery that offers impressively long flight times. 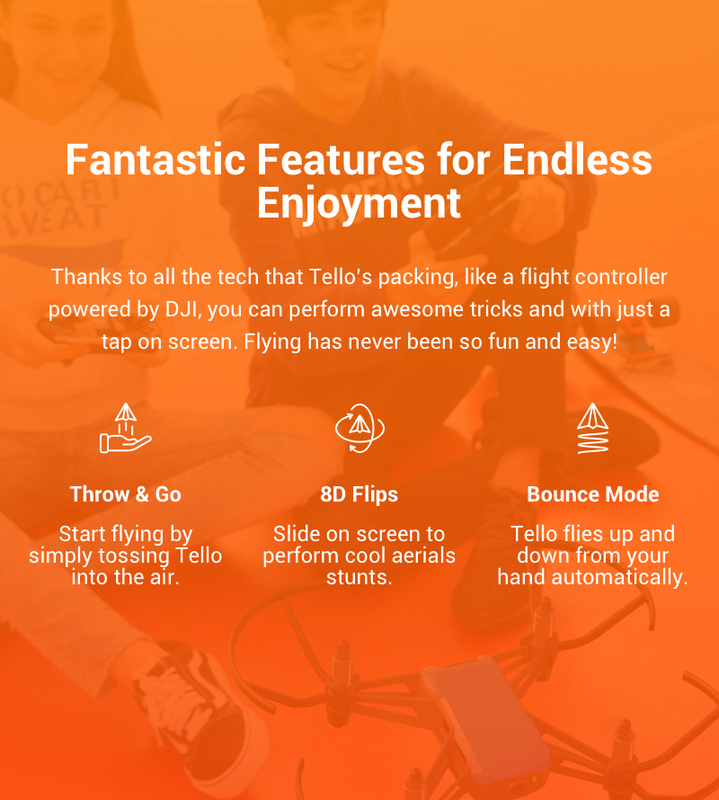 - Start flying by simply tossing Tello into the air. 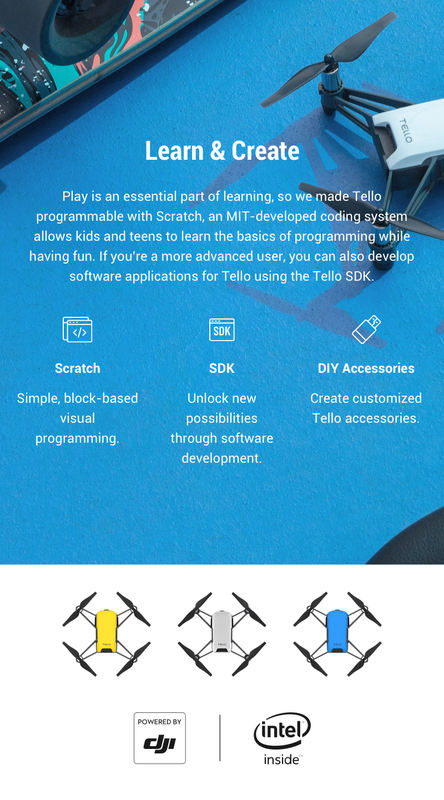 Slide on screen to perform 8D flips cool aerial stunts. 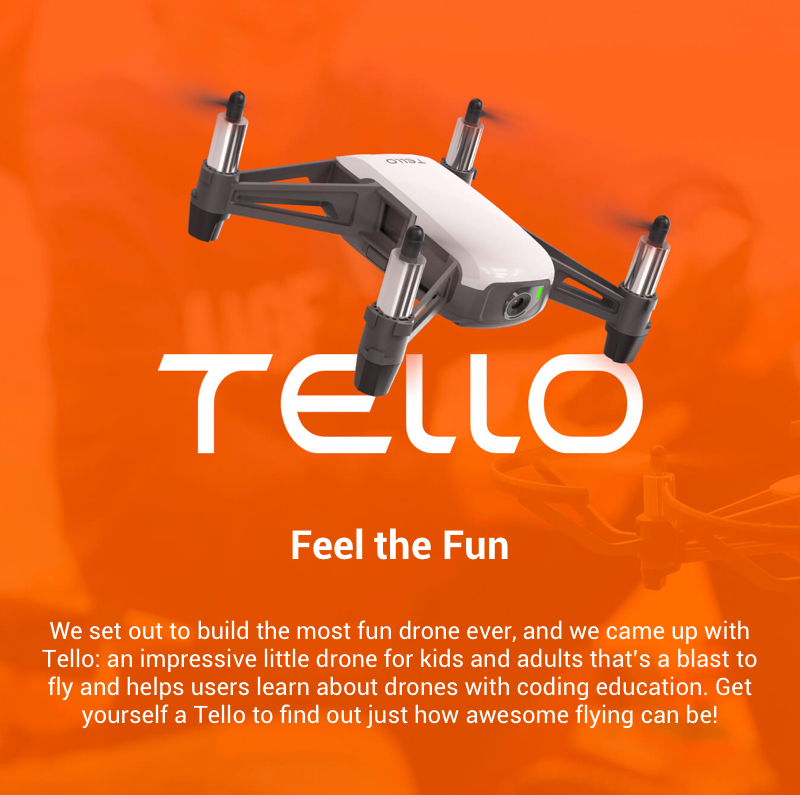 - Equipped with a high-quality image processor, Tello shoots incredible photos and videos. 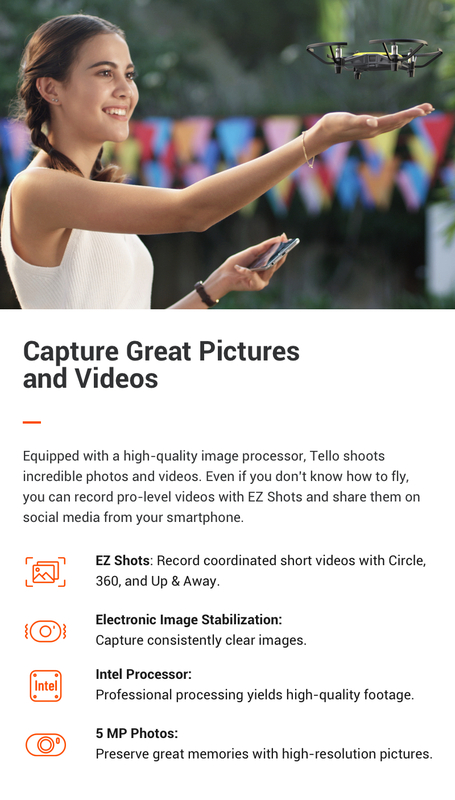 Even if you don’t know how to fly, you can record pro-level videos with EZ Shots and share them on social media from your smartphone.